Vocational Nursing is often viewed as an incredibly rewarding career. Licensed Vocational Nurses, or LVNs, work with doctors and registered nurses in various medical environments. They perform a variety of tasks, such as taking blood pressure, changing bandages, and updating patient health records. Not only is nursing a meaningful profession, but it also comes with several bonuses. In comparison to many healthcare professionals, Vocational Nurses are able to save time and money on their education. Additionally, their career has a very positive outlook, and there are numerous places to work. If you’re interested in the healthcare industry, you might want to consider Vocational Nursing. 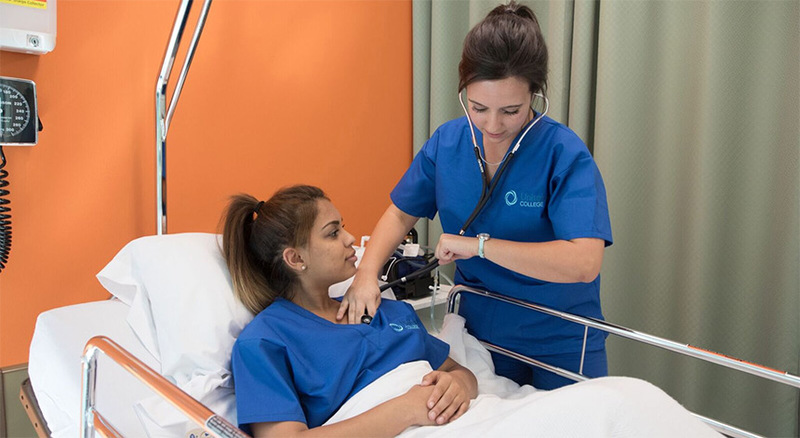 The occupation of Vocational Nursing is expected to continuously increase. By 2026, employment opportunities are projected to grow 12 percent.1 This growth is largely attributed to the aging baby-boomer population, as more medical services are becoming a necessity. To meet this emerging need, healthcare facilities will generally hire more nurses. The Vocational Nursing program at Unitek College is diverse and comprehensive. Although students will gain vital knowledge and a number of skills, the VN program can be completed in as little as 12 months. If you prefer to attend night classes, Unitek also offers an evening program that typically takes 17 months to complete. Students enrolled in our VN program will receive professional instruction, practical training, and access to healthcare facilities. Graduates of the program will know how to assess patients, obtain medical histories, and record any adverse reactions to medication. In some states, such as California, LVNs are permitted to distribute prescribed medications and start intravenous fluids. + Cooperate successfully with clients, families, and community resources to provide holistic care. + Assist in the formulation of a systematic problem-solving approach to deliver basic nursing care to clients and implement approaches within ethical-legal limitations. + Demonstrate accountability for practice, promote the practice of vocational nursing, and participate in health promotion. In our Vocational Nursing program, classrooms are furnished with individual student desks, whiteboards, and a projector. Lab rooms contain patient care stations to simulate actual hospital settings. Additionally, each lab is fully equipped with IV poles, enteral feeding pumps, blood pressure cuffs, scales, adult and pediatric mannequins, and equipment to practice everyday nursing procedures. Numerous Unitek programs prepare students by giving them access to healthcare facilities, simulation exercises, and expert instruction. The programs offered at the San Jose Campus are convenient and effective, as they can all be completed in a year or less. Bordered by Santa Teresa Boulevard and Great Oaks Boulevard, the San Jose Campus is also located near the W. Valley Freeway. There are several nearby establishments, including shopping centers, schools, and apartment complexes. Various parks and eateries are nearby as well. This campus occupies approximately 28,000 square feet. It maintains several classrooms, labs, and faculty offices. Students also have access to a library and a student break room. If you’re seeking Vocational Nursing programs in San Jose, please contact us toll free at 800-318-1550. Take that first step with Unitek College.